Is the future of search advertising calling for brands to become part of the conversation? The coming of age of Generation Z represents a landmark moment for advertising. This is the first generation who have grown up in a fully connected digital world, where personalized smartphones and omnipresent digital media are simply the norm. Today, brands need to be tuned in to the wider trends and conversations that are taking place online. They need intelligence on what the competition is saying, what values each brand represents, and leverage this to connect with the needs of young consumers. Ultimately it’s the brands that are able to understand the landscape, position their brand authentically, and become part of the conversation too that will win the hearts and minds of Generation Z. Survey results – with key stats and facts on what makes Gen Z tick when it comes to search, ads, and their preferred brands. Exclusive data – on how advertisers are responding to Gen Z audiences with more visual advertising. 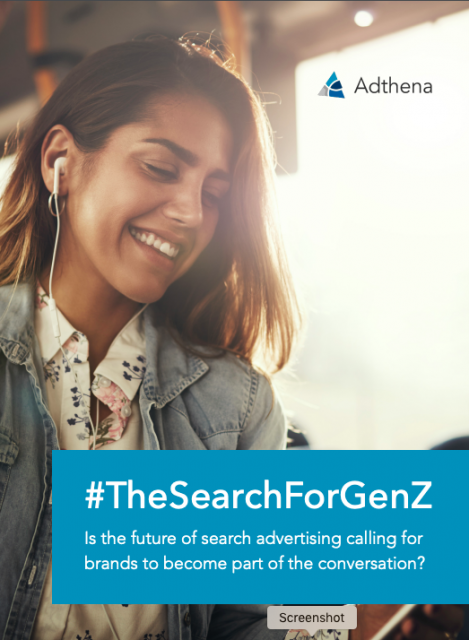 Case study – on how advertisers are targeting Gen Z with ads that signal new trends in search. To download the report, fill in the form above.